Fruit tarts are probably my favorite dessert ever. I remember birthdays when I wanted a fruit tart instead of cake. This one has a flaky crust and pastry cream that isn’t too heavy. Plus, I found some delicious strawberries at the farmers market. 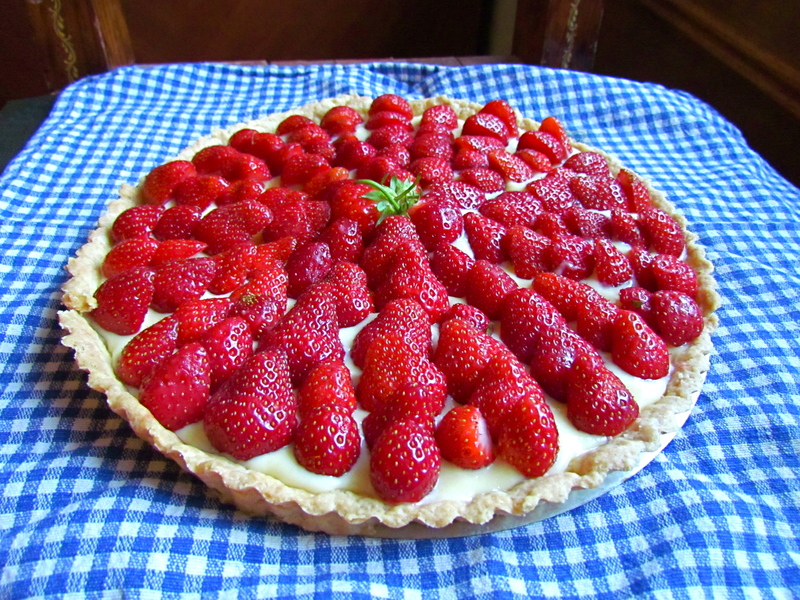 I thought about just strewing them on top stems and all because they were so beautiful, but who wants to de-stem strawberries as they eat a tart? It’s one thing to create beautiful pictures, but my goal is to make food I want to eat above all. So, standard strawberry formation. I love when the summer fruit starts coming in, there are endless desserts to make. When they look this pretty, you can’t go wrong! Roll out the dough into a round large enough to fit into your tart shell with some excess. Don’t pull it because it will shrink more, just coax it into the corners and cut off any excess. Place a piece of buttered foil into the shell and put dry beans or rice into it to hold the shape while it bakes (it’s called blind baking). Bake at 375 for 10 minutes and then remove the beans and prick with a fork to allow air out if it puffs up. Bake for another 20 minutes until it starts to brown. Remove and cool. For the pastry cream, bring the milk to a boil. 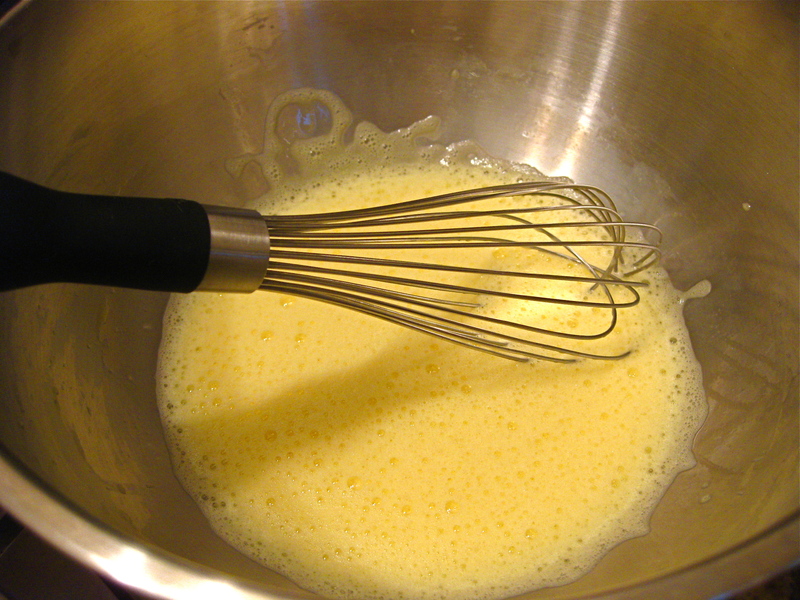 In a bowl, combine the eggs, sugar, and cornstarch with a whisk. Slowly add a bit of the hot milk and whisk vigorously to temper the eggs. Pour into the remaining milk in the pan and continue to whisk until it thickens, about 10 minutes. Pour through a strainer if you wish, and add the vanilla and any additional flavorings you wish (cognac or brandy are nice). 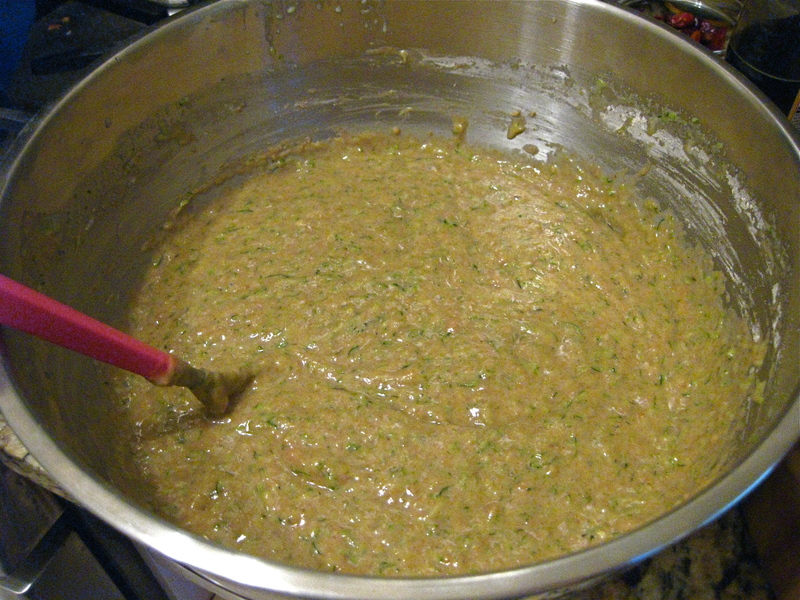 Add the butter and whisk until incorporated and melted. Refrigerate until cool. Pour the pastry cream into the cooled shell. 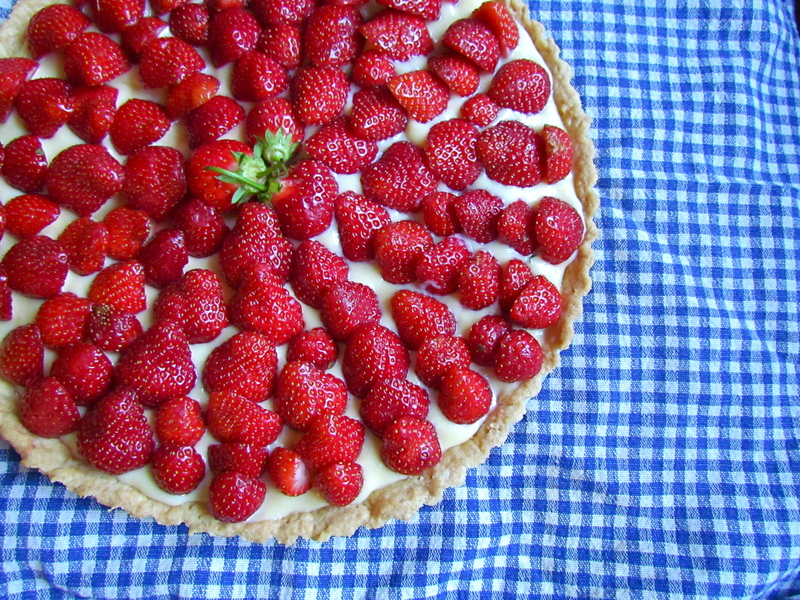 Arrange the strawberries however you want on top. Optional, you can heat some apricot jam with a little water until a little runny and brush it over the top. So, I went a little nuts with the baking last weekend because I was baking for the New Music Bake Sale in Brooklyn. 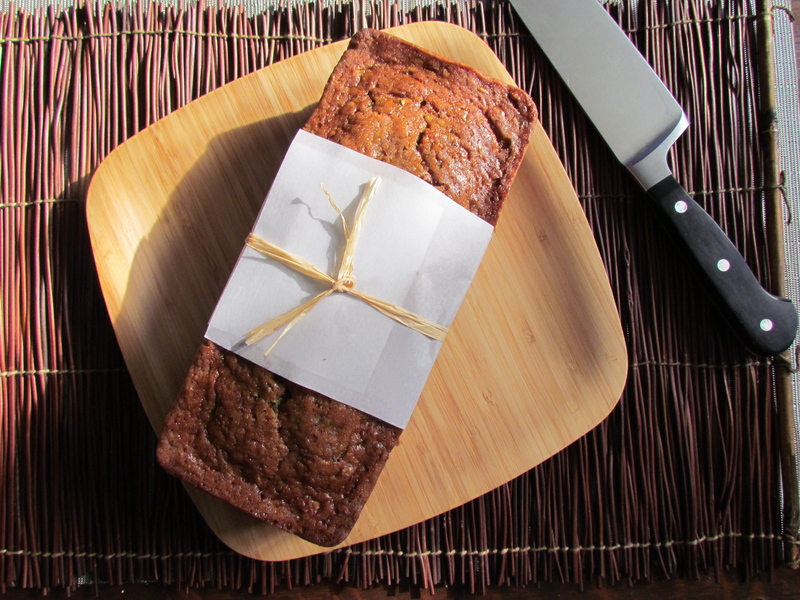 I made two kinds of cookies and some banana bread, and it was tons of fun. I realized after the fact that I should have made my gougeres since they are probably the most popular thing I’ve ever made. Oh well. You’ll just have to wait for those. I’ve been slowly baking my way through the Flour Bakery cookbook, and so far I haven’t really been disappointed in anything. 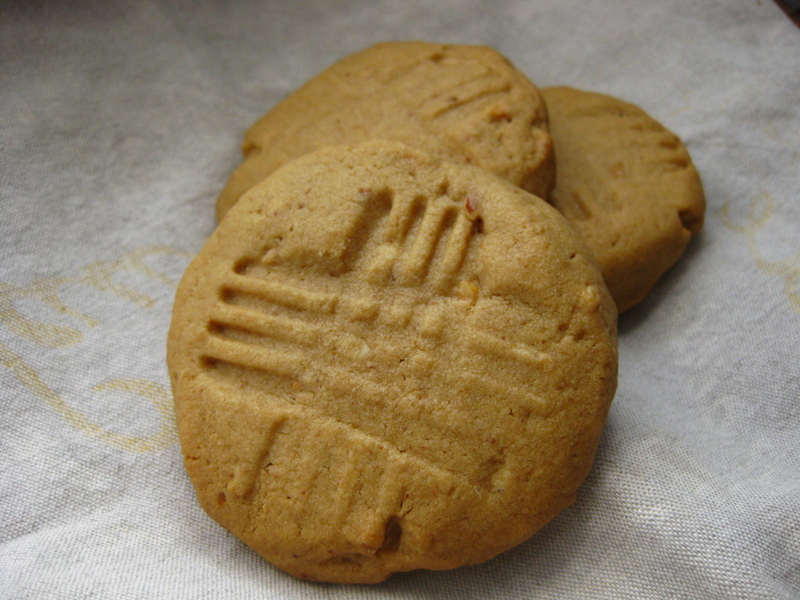 These peanut butter cookies are no exception. 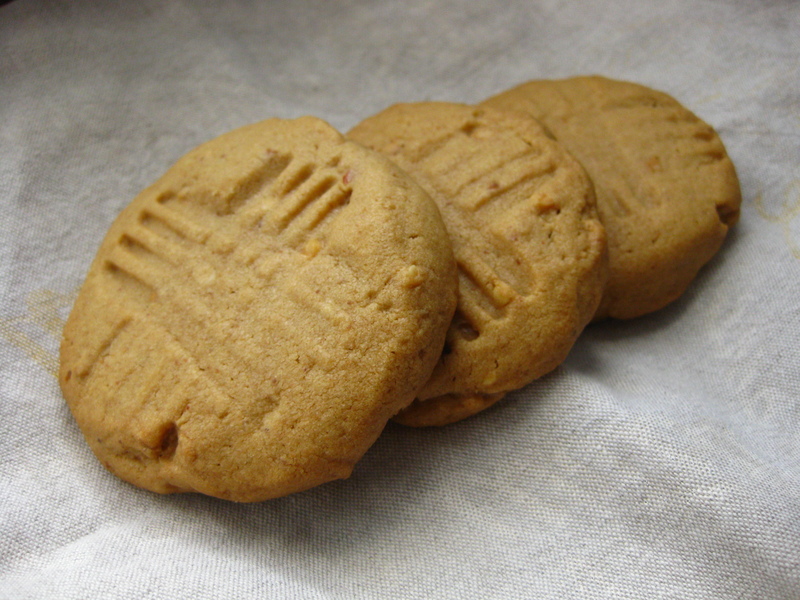 They are a little more cakey than I probably would prefer, but then again, most peanut butter cookies get that way because of the texture of peanut butter when baked. I definitely have to agree they are delicious and I would definitely make them again. They are just the right amount of sweet and salty, and fresh out of the oven they are amazing. 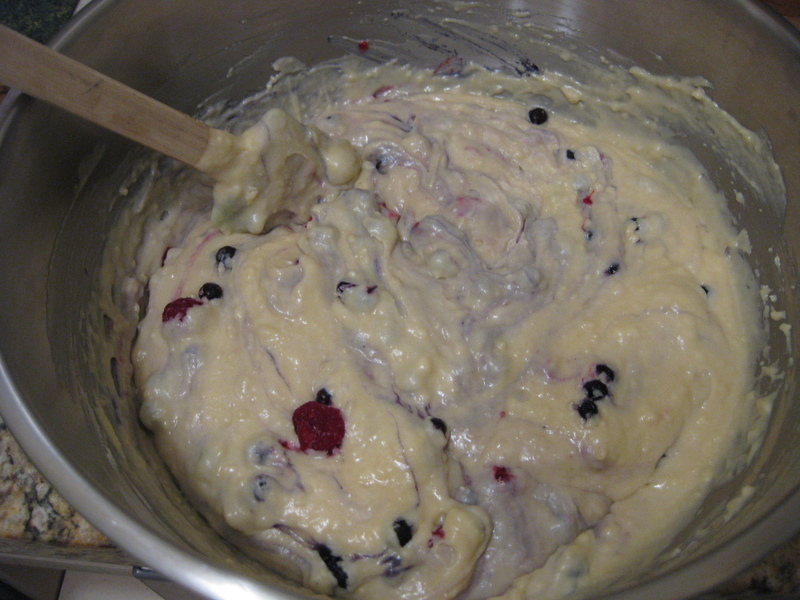 Cream together the butter and sugars for 5 minutes with a hand mixer until smooth and light in color. Beat in the eggs and vanilla until thoroughly combined. Scrape down the bowl and then add in the peanut butter and combine. Meanwhile, combine the flour, baking soda, and salt in another bowl. Slowly add to the wet ingredients and don’t over beat. Refrigerate overnight. Roll into 1 inch balls and flatten into discs. 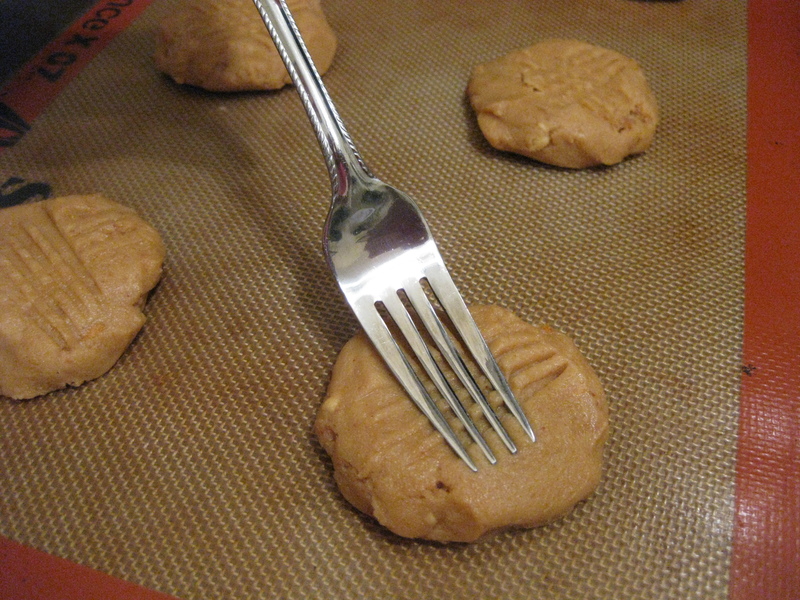 Using a fork, make cross-hatch marks on top (the traditional peanut butter cookie decoration). Bake for 20 minutes at 350 degrees or until they start to brown around the edges. Let cool on a rack. As I’ve mentioned before, one of my favorite bakeries in the world is Flour Bakery in Boston. I remember Sunday mornings and trying to decide what I wanted most. I’ve been waiting to try the muffin recipes from the cookbook, but it’s usually a last minute thought and I don’t regularly keep Creme Fraiche lying around. So far, everything I’ve tried from the book has been really delicious like the Double Chocolate Cookies and the Chocolate Hazelnut Cookies. I even adapted the one muffin recipe that didn’t use Creme Fraiche into my Apple Oat Muffins and they were delicious. These muffins were so light and fluffy, with a glorious crunchy muffin top that just crackles in the right way when you pull it off. Let’s be honest, most people go straight for the muffin top and then reluctantly eat the rest. These are so good, that you will love eating the whole thing. 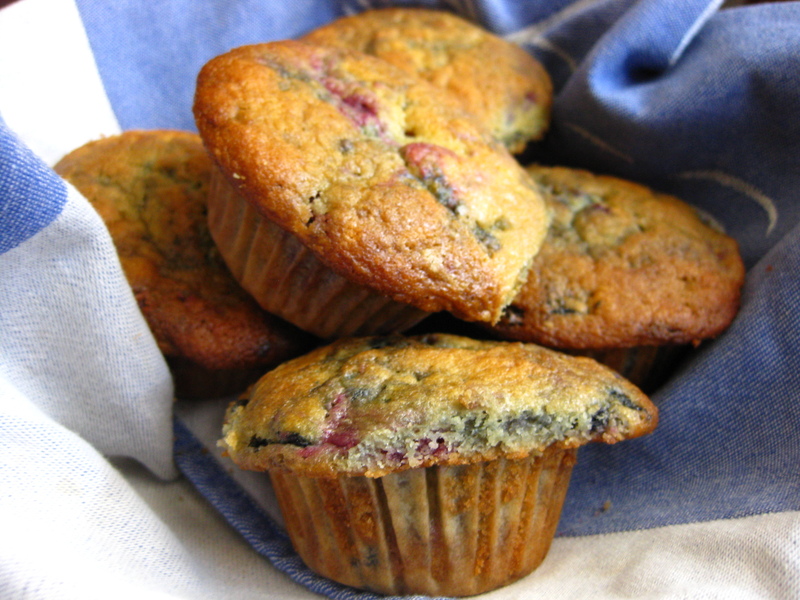 The original recipe uses raspberry and rhubarb, and it gives suggestions for alternate recipes like the classic blueberry muffin. I adjusted based on what I had in the freezer, which in this case was frozen raspberries and blueberries. I like to bake them fresh, so I’ll keep the batter in the fridge and bake them in the morning. It lasts a couple days, and they turn out so much better when baked fresh. But you can refresh them by popping them back in the oven for a couple minutes. 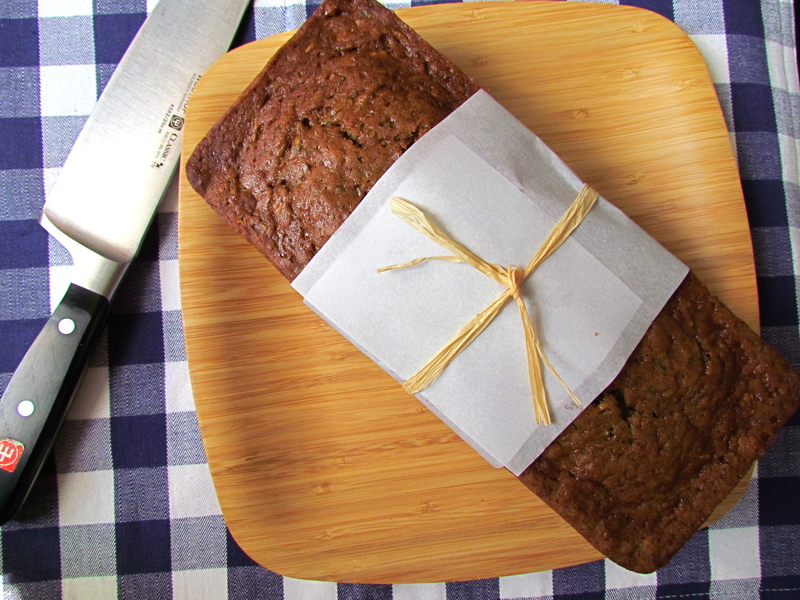 Preheat the oven to 350 degrees and line muffin tin with paper liners. In a large bowl, combine the flour, baking soda, baking powder, and salt. In a medium bowl, whisk together the eggs and then add the sugar, butter, milk, creme fraiche, and vanilla, making sure all ingredients are at room temperature. I like to add the melted butter with the sugar and then everything else, so that it doesn’t re-solidify at all if your ingredients are a little colder. 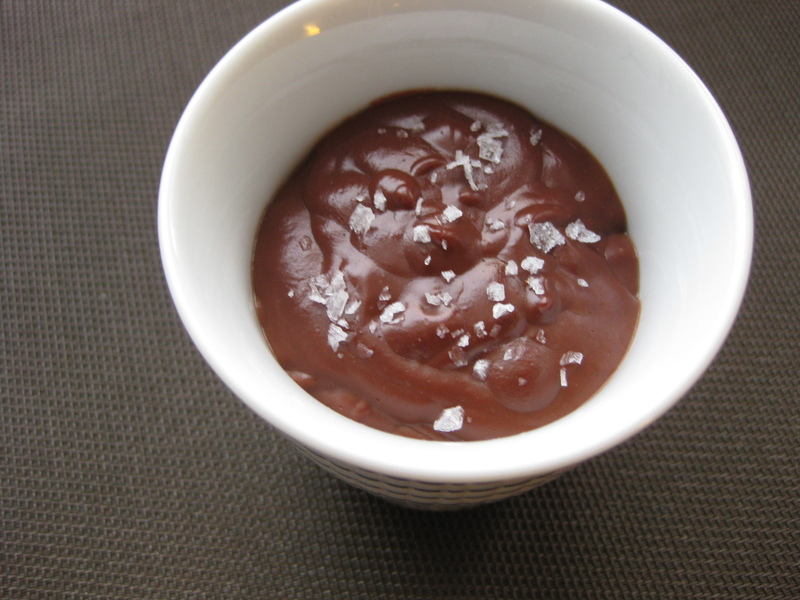 Pour the liquid mixture into the dry ingredients and fold gently using a spatula. Fold in the berries gently. The batter is a little lumpy but don’t worry. Spoon into the muffin tin to fill the cups. Bake for 40 minutes until the muffin tops are golden brown and let cool before removing them. 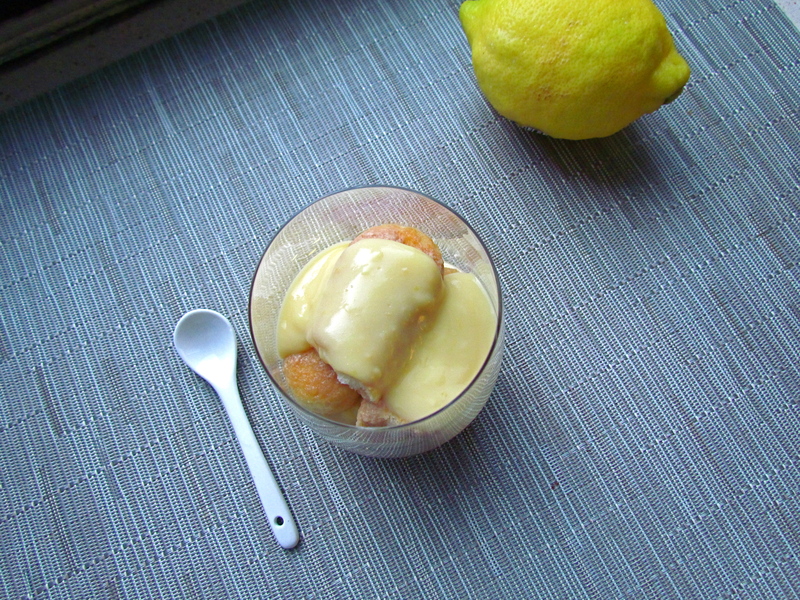 Pudding is so easy to make that it almost seems like more work to make it from a box. Seriously, you can make it so many ways and you should. It’s so delicious, I might make more tonight. I added a sprinkle of sea salt to the top just for fun because I love the salty-sweet combination. Combine the cornstarch, sugar, salt, and milk in a pan and cook for a few minutes until it thickens. 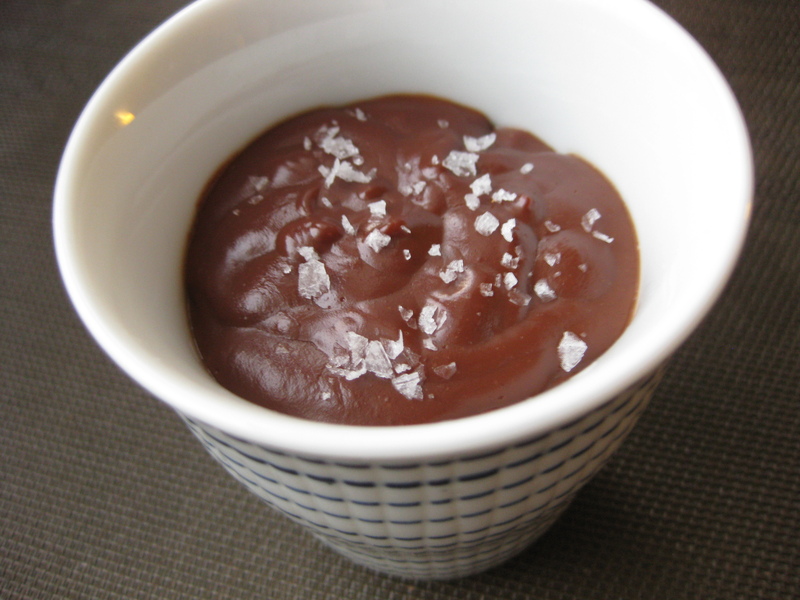 Add the chocolate and stir until melted. Off the heat, add the vanilla, cinnamon, coffee powder, and Frangelico. 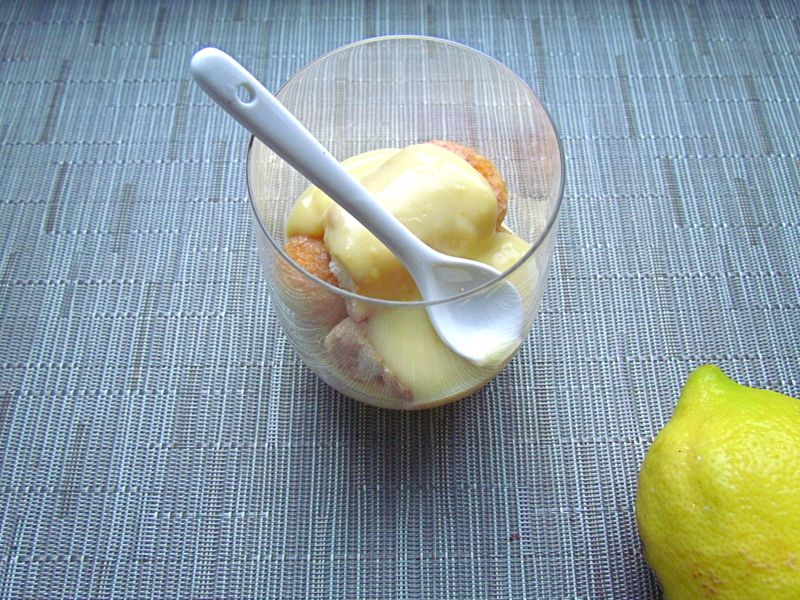 Pour into ramekins and refrigerate for a couple of hours. Sprinkle sea salt over the top right before serving.